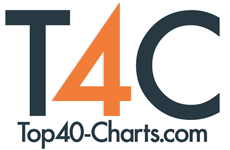 New York, NY (Top40 Charts) Posting your news of your artist, band or music-related company or organisation has always been free on our site. As of today, we're also offering an improved service for added exposure to your audience. In all cases, each article goes through our editorial approval for being strictly related to our music-focused content. Indie Electro Duo Let's Mars Release New Single "Dedicated"
Blacklite District Releases Official & Minecraft Music Videos For "Goodbye"
Meka Nism Releases Official Music Video For "The War Inside"